Seven huge caissons, which will form the building blocks for the closed quay sections at Aberdeen Harbour's £350 million expansion, South Harbour, have been loaded onto a semi-submersible vessel at their construction site in Spain. 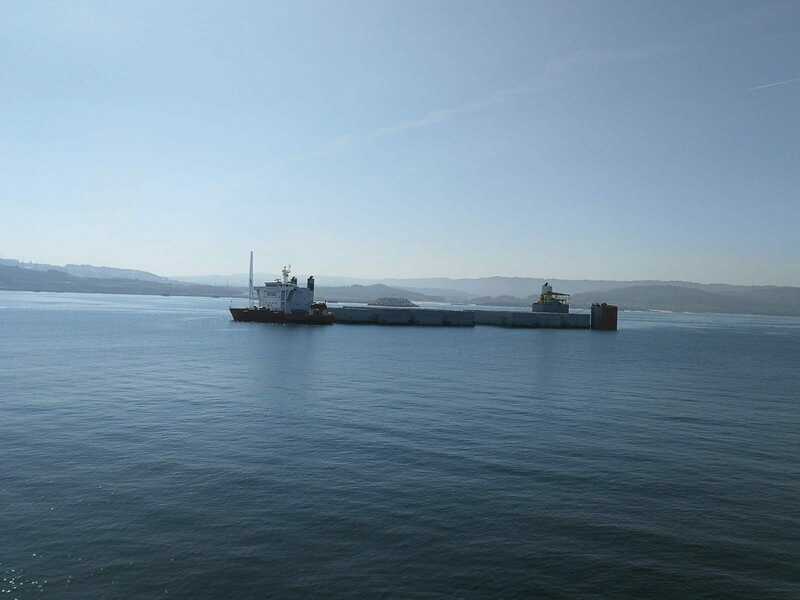 The seven caissons, which are each 50 metres long, 17 metres wide and 16 metres high, will now travel more than 1,000 miles by sea from La Coruna in North West Spain to Scotland in early September. They will be the first caissons of a total 22 to be delivered to the project. On arrival in the UK, the caissons will be taken to Invergordon, where they will be inspected to ensure they have not been impacted by the journey. Each caisson will then be floated to Aberdeen when required as construction of South Harbour progresses. Keith Young, Engineering Director at Aberdeen Harbour, said: "The size of the units has dicatated that they be manufactured in La Coruna, where a large scale manufacturing process has been established within the port. "We look forward to receiving the caissons as the construction of the South Harbour continues."